Don’t miss a dive due to a scuba gear issue. 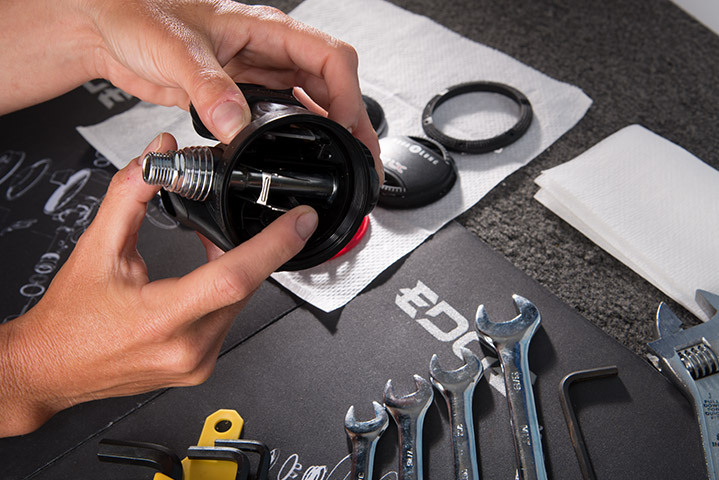 Whether it’s a blown o-ring, regulator problem, wetsuit tear or a broken fin strap, you can learn how to manage basic scuba equipment adjustments. As an Equipment Specialist, you are prepared for the basic scuba equipment maintenance, care and adjustments you’ll encounter every day. Discover how to overcome common problems with equipment and recommended professional maintenance procedures (may include a demonstration of repair procedures). This course involves self study and an informal group discussion, during which you will review the homework and get hands-on practice. Saturday class sessions typically run from 9:00 until 3:00.